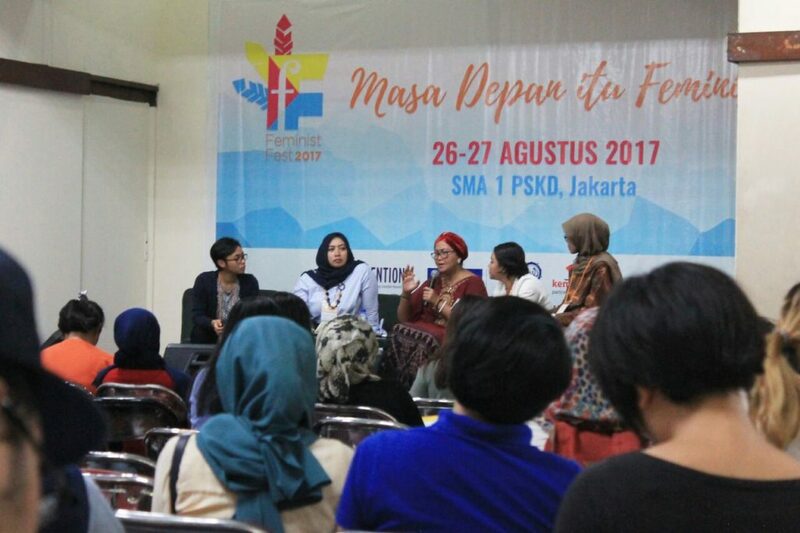 FeministFest: Indonesia - sister-hood magazine. A Fuuse production by Deeyah Khan. Who would have thought that the most populated Muslim country in the world would be bold enough to revive the Feminist Festival, once held over a decade ago? 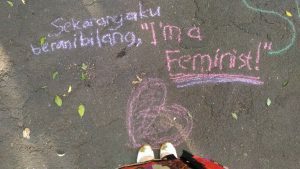 The Jakarta Feminists’ Discussion Group, consisting of feminists from all different background and identities, came together in an event designed to reiterate that feminism is still relevant in Indonesia, under the title Masa Depan itu Feminis (The Future is Feminist). More than 300 people came to attend this event, held on the 26th and 27th of August in PSKD 1 High School. 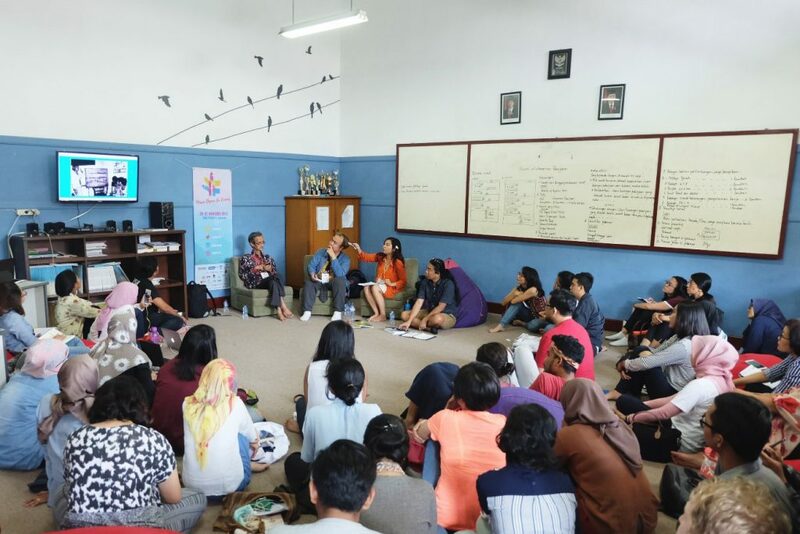 With more than 40 speakers, 15 discussion panels and five workshop classes, the event covered the issues that involve women and minorities in Indonesia, from ecofeminism, development, politics, entrepreneurship, reproductive health – to how to stop sexual harassment. 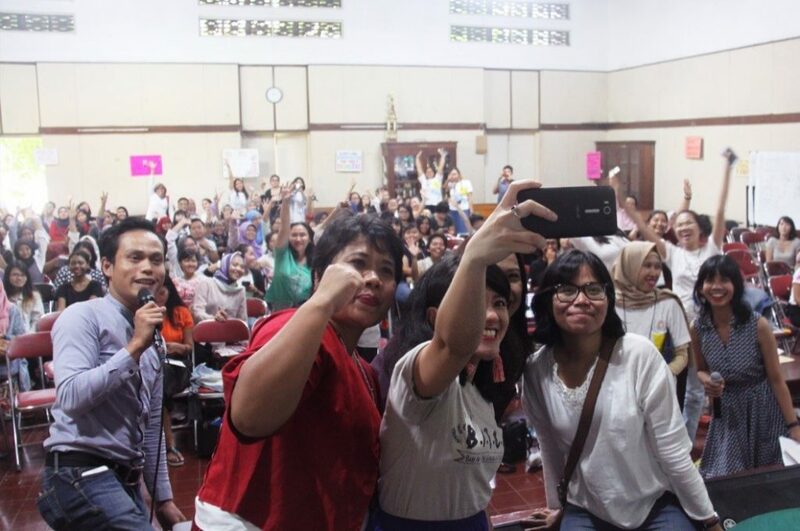 The increasing conservatism in Indonesia was discussed in a session called ‘Feminist Allies and Supporters.’ For this session, the organisers invited Kyai Haji Husein Muhammad, a cleric known for his staunch support for women’s rights. Husein was one of the members of the National Commission on Violence Against Women and the founder of the Fahmina Institute in Cirebon, Indonesia. During Husein’s early studies of Islam, he questioned the many interpretations that marginalise women from Muslim history. Later, he found literature that promoted women’s rights in Islam. During the discussion panel itself, he supported women leading men during Muslim prayers, saying that the hadith used to oppose this practice was weak. He claimed that during the time of the prophet, there were a lot of progressive views about women, but that these have been buried in history. Husein’s co-panellist, Nadya Karima Melati, co-founder of the Sexuality and Gender Research Studies group in the University of Indonesia, contributed explanations of how history has managed to sideline women from almost all branches of knowledge, through defining knowledge itself as a man’s field, giving no room for the kind of knowledge that women may produce. This was also the reason why progressive values towards women in Islam were almost erased from history. Syaldi Sahude, from Aliansi Laki-Laki Baru, a community that promotes and supports gender equality, also gave a short presentation on how to be a good ally and supporter. He admitted that men can be reluctant to hear what women have to say. Feminist Allies and Supporters Discussion Panel. Other panels, such as Women in Politics, provided a chance for discussion on how women have been treated in the political sphere in Indonesia. Nihayatul Wafiroh, a representative from the National Awakening Party (Partai Kebangkitan Bangsa), an Islamic party, explained how she was looked down upon as a woman. She was often mistaken as the wife of the representative rather than as a representative herself. Today, Nihayatul is fighting for legislation against sexual violence to help victims get the attention and care they need. Sadly, every time this bill is discussed, other members of parliament seem reluctant to discuss it – even after the case of a 14-year-old girl who was raped and killed by 14 men last year, or the case where a kindergarten girl was raped by the guard at her school this year. To avoid any backlash, whenever they discussed this case, a closed meeting had to be held so that the media would not misinterpret or put out of context anything that was said. Women in Politics Discussion Panel. From left: Fitri Bintang Timur, Nihayatul Wafiroh, Nursjahbana Katjasungka, Sahat Farida, Nita Wakan. To some people, feminism is still a very scary thing to discuss, but events like Feminist Fest can shed light onto how feminism can still be relatable. 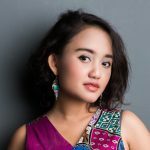 In Indonesia, there is an ongoing battle of discourse about whether Indonesia should be a nation based on sharia law or not; within this debate feminism can play a role in achieving peace and justice. Indonesia, built on the basis of Unity in Diversity (Bhinneka Tunggal Ika), already has intersectional feminist values formulated by their great ancestors during the Majapahit Empire, before the nation was called Indonesia and declared its independence. 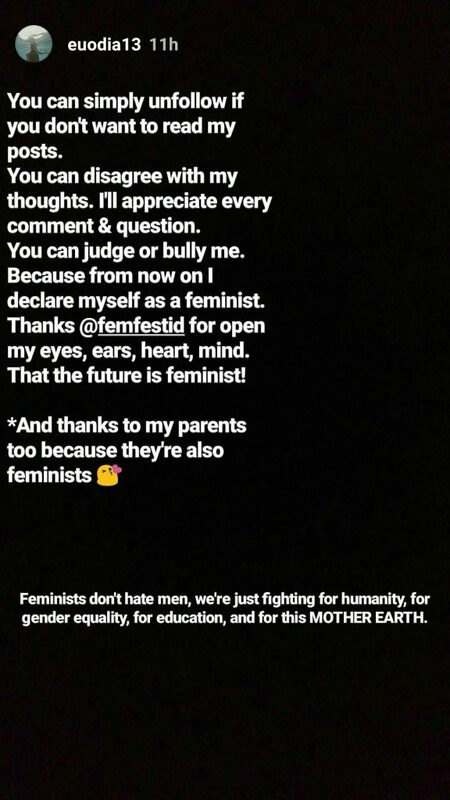 Feminist Fest also helps educate the public which needs reassurance, so that they do not feel reluctant to discuss issues that influence their everyday life. This will not only provide safe spaces for people to talk about feminism, but also to ensure that the future is feminist.